As the director of project management and construction services (PMCS) at the University of Texas at Austin (UT), Michael Carmagnola has a lot on his plate. UT is one of the largest universities in the country—and the biggest institution Carmagnola has worked on in his 35 years in the construction field. “It’s a city,” he says, noting that its roughly 20,000 employees serve about 52,000 students across nearly 200 buildings. Alongside his regular responsibilities managing small- and medium-size design and construction projects on campus, he is currently overseeing an ambitious space-allocation initiative that aims to renovate targeted buildings in the core campus to create a more efficient, productive experience for students. “I’ve seen the whole range of good and bad at all different places,” Carmagnola says of his decades of experience in construction, which helps him immensely with the size and scale of UT Austin’s many projects. Among his major concerns today is ensuring that his office continually meets the needs of the university, which can be challenging; between athletics, engineering, and other departments at UT, the PMCS department serves as many as 30 different clients at a time. What is Carmagnola’s secret to handling all these responsibilities? “Prayer,” he says with a laugh. Humor aside, Carmagnola stresses client focus as the key to ensuring completed work. His 145-person department divides projects between management teams focused on each school client, allowing there to be a senior liaison for day-to-day issues for any ongoing work. In addition, Carmagnola has improved many centralized processes throughout his department, including premade forms, contracts, and construction standards, which make the work much more efficient. 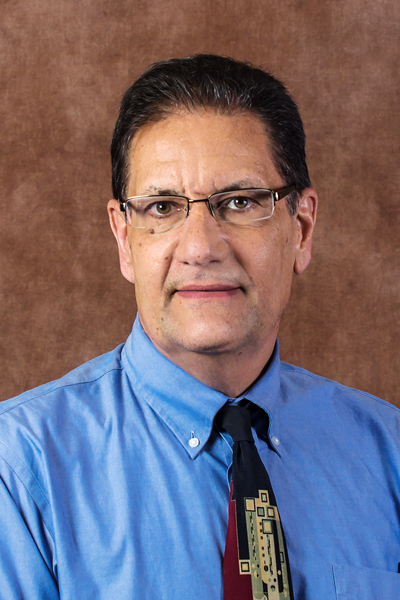 Amid all this streamlining and centralizing is Carmagnola’s dedication to professional development and servant leadership among his employees. “The key is to be available and support your folks,” he says, adding that it’s also important to build trust within internal staff. One example of this availability came during the recent renovation of the PMCS office itself, which moved Carmagnola’s office from a far corner to a spot right next to the department’s entry door. “People can come in, and my office is right there,” he says. It makes it easier for team members to come to him for questions and advice. 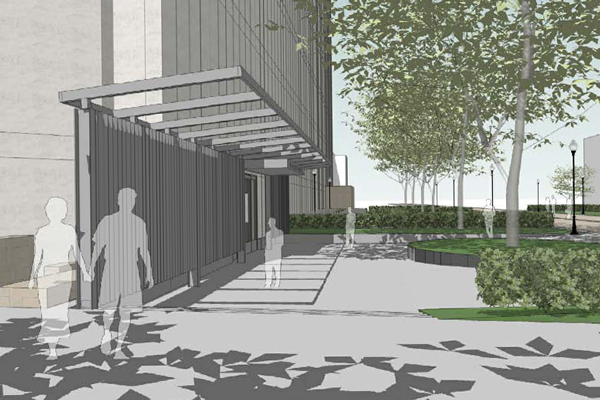 This work to better centralize and organize his department has been valuable for UT’s massive initiative to improve space allocation throughout its 20 million-square-foot campus. In May 2016, university president Gregory L. Fenves wanted to look more closely at how space was used across campus and repurpose core campus space for student use. To that end, a study was conducted, evaluating 45 different units across campus and interviewing faculty and staff to determine whether their needs were being met. Carmagnola and his department quickly determined that many spaces were due for renovation. A lot of existing space was allocated for office and support use, and for the past two years, Carmagnola has been spearheading efforts to optimize it for student use. According to Carmagnola, UT’s space needs can be solved in one of two ways: constructing new buildings or renovating existing ones. For its space-allocation initiative, the latter strategy was chosen. To date, Carmagnola estimates, the project has touched 270,000 square feet of space, emptying two buildings and repurposing them for academic use. The team has executed minor renovations, updated furniture, added IT support, and improved functional arrangements. 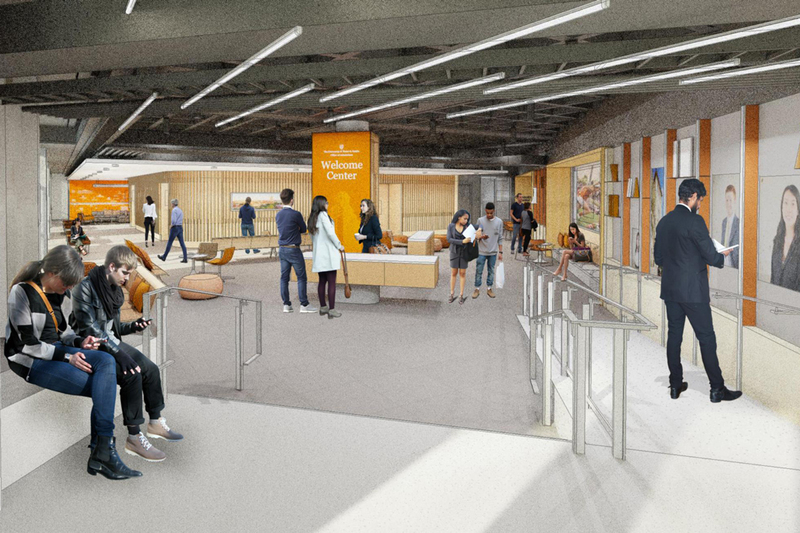 One of the biggest projects thus far will be the transformation of an area in what is called the Main Building, in the middle of campus, into a one-stop center for student-support departments such as financial aid, registrar, admissions, and more. Carmagnola estimates another two to three years before the initiative is finished. Among other future projects, he plans to create a welcome center for prospective students and their families and a dedicated career center. However, he is extremely pleased with the work done thus far. “Most of what’s ahead of us is the endgame—more student support spaces in the campus core,” he says. Along with the massive amount of work involved in the space-allocation initiative, the PMCS department has experienced a 20 percent increase in its workload over the past year, a challenge Carmagnola has faced with excitement (and, as he says, “more prayer”). To meet the increase, his team has been working to further centralize processes and improve client focus, including implementing a new project-management technology system that, among other improvements, will allow construction inspectors to do on-site field reports with tablets. These tools are vital to his team’s work. “I can load people up all day long, but if I don’t give them the tools, support, and pay they need, it’s a futile effort,” Carmagnola says.